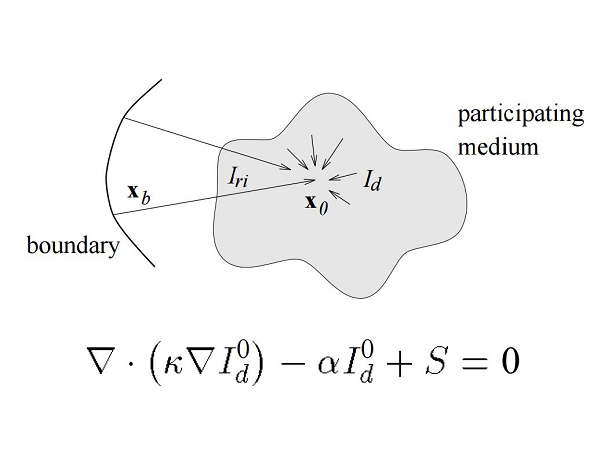 Multiple scattering in participating media is generally a complex phenomenon. In the limit of an optically thick medium, i.e., when the mean free path of each photon is much smaller than the medium size, the effects of multiple scattering can be approximated by a diffusion process. We introduce this approximation from the radiative transfer literature to the computer graphics community and propose several numerical methods for its solution. We implemented both a multi-grid finite differences scheme and a finite-element blob method.